One beautiful spring day I was walking with my husband along Anderson Road, stopping to photograph the various wineries we passed and anything else that looked interesting. We entered Anderson Road from Highway 46 West and walked all the way to the end. Right where the road curved we saw this bee tree. It was alive with bees, but they are very hard to see because they were moving fast and were almost the same color as the tree. Maybe if you click the photo to enlarge it you will be able to spot a bee or two. Trust me, they are there. Here is a video that proves it. The Zazzle products below are photos of what you will see on the corner of Anderson and 46 West. The postcard was created when the vineyard still belonged to Eagle Castle, which you see on the hill. It has been bought by and is now part of Tooth and Nail Winery. You can see the castle at the top of the hill. Art is creating something beautiful with whatever you have at hand to bring your idea into existence. Some use paints or cameras. Some use found objects. Some use fabric or stone or metal. All have ideas and try to put what they imagine into concrete form to share with others. I saw a lot of the results of this process at the Paso ArtsFest in May. I was still recovering from surgery and couldn't be on my feet for more than a couple of hours, so I left early. On my way back to the car, I witnessed another artist at work. You see him in the first photo at the left above. 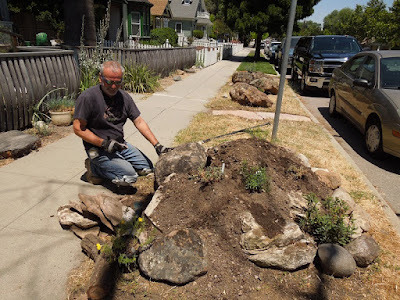 His materials are soil, rocks, and plants. His gallery is his front yard. His art is free for all passing by to enjoy, if they only look over his fence. He invited me to enter his front garden through his gate and to walk across the bridge toward his house. I took this photo from the bridge. 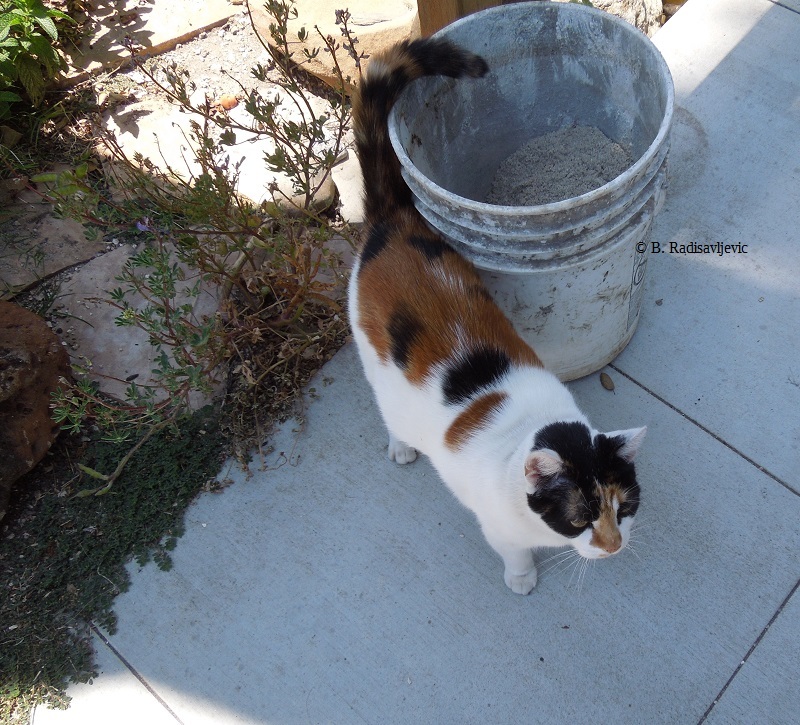 As we know, every project needs a supervisor. This one was no different. This is the supervisor I saw making sure everything was done properly. I'm sure the supervisor was also interested in the already finished pond inside the fence. What surprised me so much about this project was that a person might actually walk by on the sidewalk and never notice this yard because of the fence, which looks like many of the other fences. You have to be on foot to have a chance of seeing it. All the treasure is on the other side of the fence, so far. I've never noticed it while driving by. Maybe more people will be aware once the new part of the project near the street is finished. You can enlarge any photo by clicking on it. This is one of the oldest neighborhoods in Paso Robles. Many of the homes are Victorian in style. There are large and small homes and even a few duplexes. But few have gardens like this one for those walking by to enjoy. I commend the artist. Are the Clouds Teasing Me Again? As I write this tonight I'm wondering if the clouds are promising relief to my dying flowers or whether they are once again promising what they won't deliver. My husband said they sprinkled a few drops in Templeton Saturday, but I didn't see any here in Paso Robles. I took the pictures about 6:30 PM. 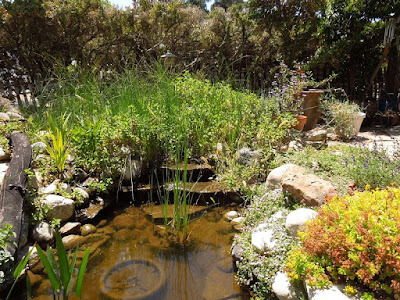 Since I post this around midnight for each new day, as I prepare to sleep, I can only hope that the clouds will spill some water on my garden as I sleep tonight -- a lot of water. But I'm not holding my breath. This Sunday will be a glorious day if it rains. 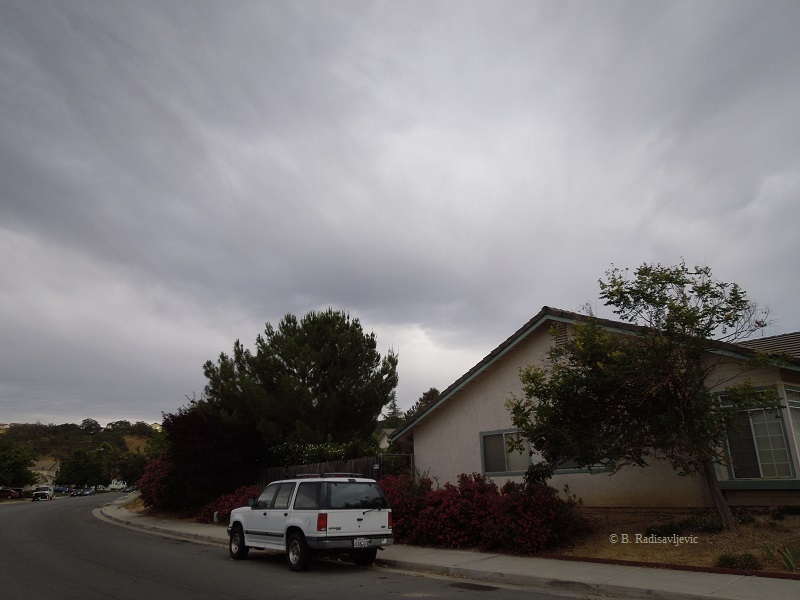 It's hard to walk through a Paso Robles neighborhood without seeing a fly flying. 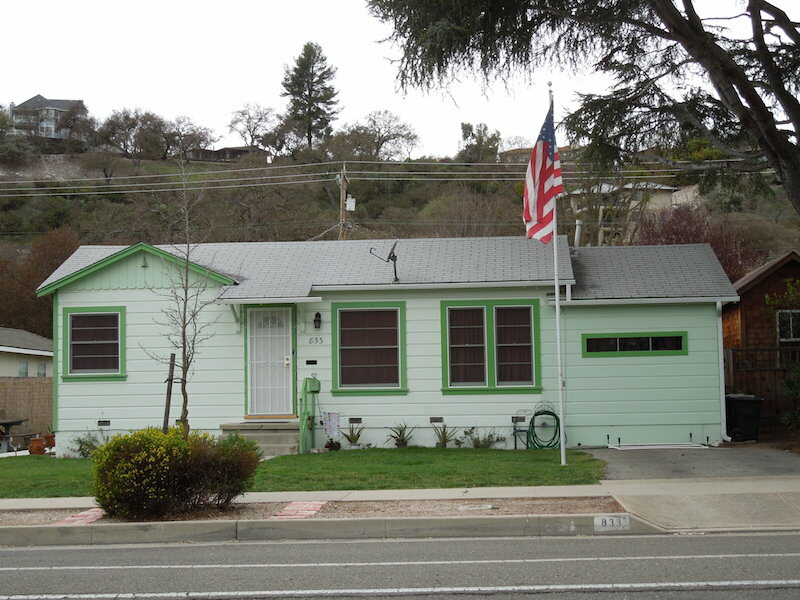 This owners of this house showed their true colors by flying the colors of Old Glory on an ordinary day in March. 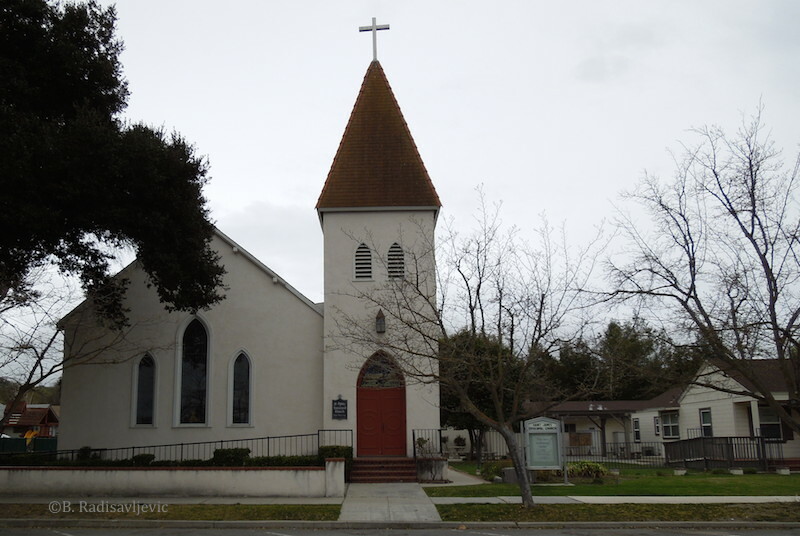 St. James Episcopal Church got its start in 1891, just one year after the city of Paso Robles itself was founded. Unlike most Episcopal churches at the time, it was started by local demand rather than because the Department of Missions wanted to establish a church there. Six women were instrumental in bringing the need to the attention of the Diocese of California. In the early 1900's when there was much anti-Asian prejudice, St. James supported full citizenship for American Asians. During the depression, the church resisted demands from local authorities for segregation and integrated its soup kitchen. These were both historic stands during that period. St. James made history in other ways, as well. In 1921, the Rev. Charles Thackeray, then vicar of the church, started a social event to bridge a developing division between the residents who lived in town and those who lived in the surrounding countryside. Everyone was welcome to participate, commercial activity ceased on that day, and money wasn't needed. This was a forerunner to the first Pioneer Day celebration in 1931. St. James has the oldest pipe organ on the West Coast still in regular use-- a Stevens organ dating from 1863. My brother used to like to go to church with Mom when he was visiting just to hear that organ. In the 1980's St. James began the ministry we now know as Loaves and Fishes to distribute food to those in need. Today other churches also support this ministry, but St. James deacon the Rev. Jacqueline Sebro is still its director. For further details on the church's history visit the St. James website, which is where I gathered these facts. I have a special fondness for this church, because my mother was a member there for the last years of her life after moving to Paso Robles. They made her feel welcome and she made most of her local friends there. 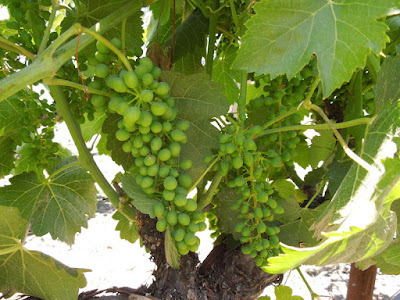 Paso Robles has a rich history, yet it continues to grow. Plymouth Congregational Church has been on the corner of 13th and Oak Streets for over a hundred years, yet it still plays a vital role in our community. 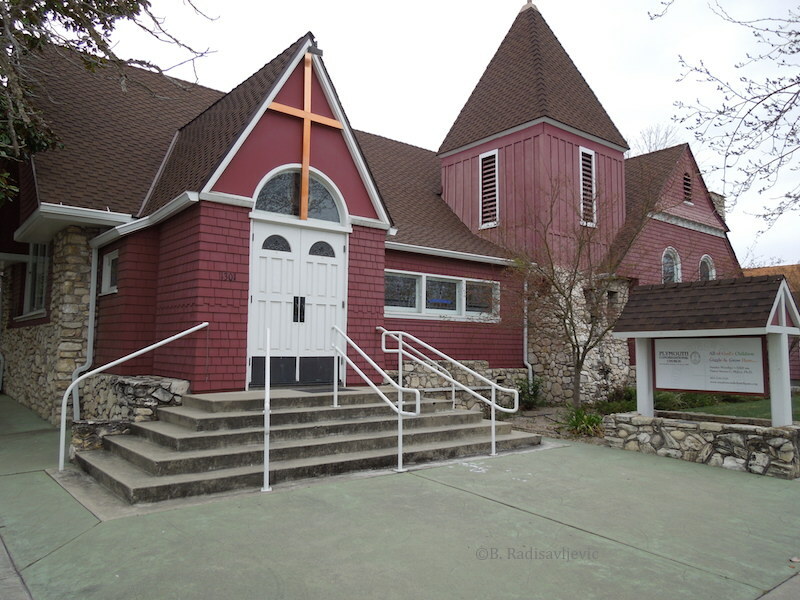 This congregation of the United Church of Christ not only worships on Sundays, but it serves the residents of the city on other days. I'm not aware of all this church does, since I'm not a member, but I am aware of some ways it helps the community. Around the holiday season, it has provided a place for struggling families to "shop" for donated toys for their children. It has also been a polling place for citizens wanting to vote. Its distinctive style differentiates it from the other churches in Paso Robles, even the other historic ones. I think it's the most colorful church in Paso Robles. Take Vineyard or Las Tablas to Winery Road. 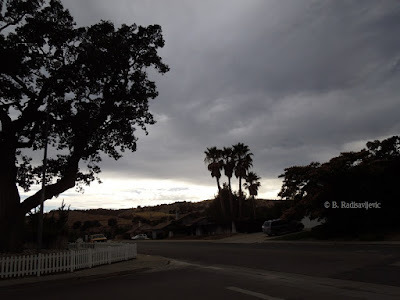 I took this photo just after the curve Curve on Las Tablas where Winery Road starts, looking south toward Rotta Winery and Turley. We have often walked this road which has little traffic. It starts at the west end of Las Tablas and dead ends into Vineyard Drive at Turley Winery. 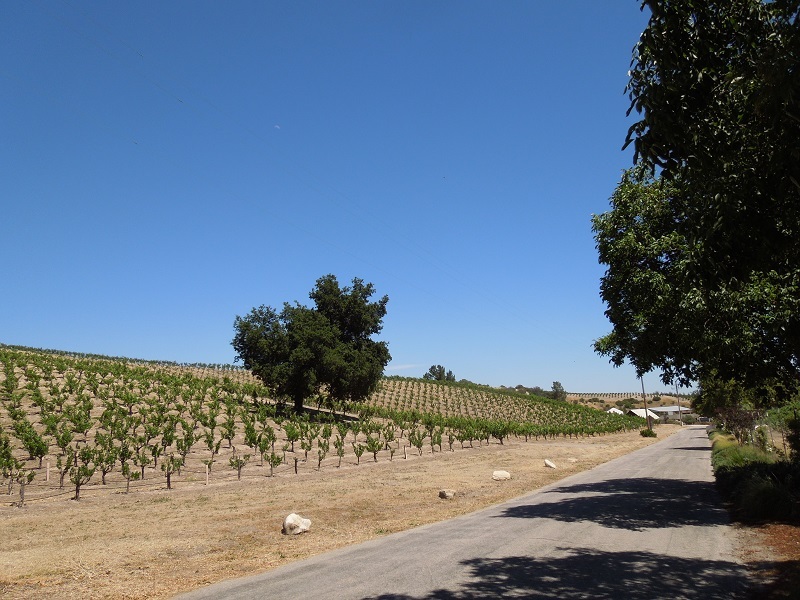 In this picture, Rotta Winery and its vineyards are on the left, and the Turley Vineyards are behind the trees on the right side. Both wineries are worth a visit and you can park at either one and walk to the other. The Rotta Winery has many historic displays from its early days. Below is part of one of them. Does Your Dog Climb Trees? Every now and then when I'm out walking I see something that makes me question my eyes. This is what I saw one day while walking past the old cottonwood tree at the north end of Larry Moore Park -- a dog who had climbed a tree. When I asked the man if the dog had really climbed the tree, he said he had. 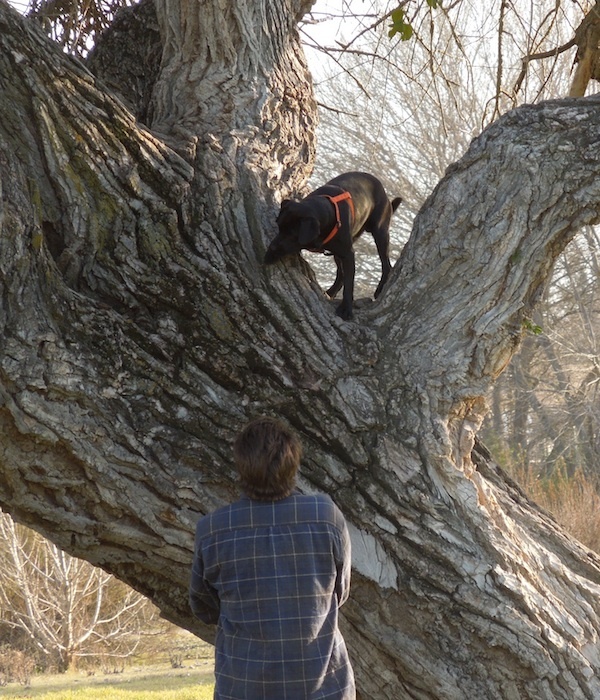 Then a passer-by said her dog had also climbed that same tree. This reminded me of a book by Farley Mowat that thoroughly entertained me -- The Dog Who Wouldn't Be. Mutt was Farley's companion during his childhood on the prairies of Canada. 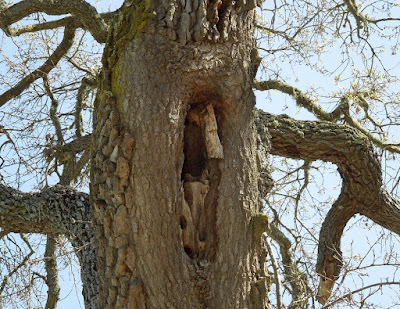 Mutt did all sorts of things most dogs don't, including climbing trees and ladders. 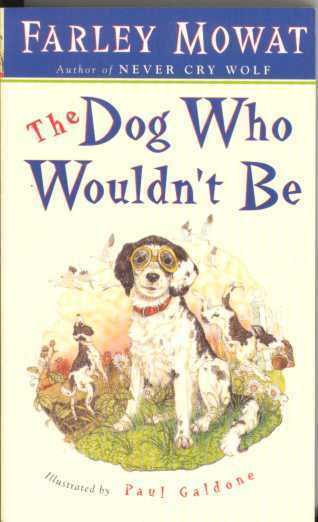 If you love dogs or humorous memoirs, I highly recommend this book. Although it was written for adults, it's fun for a family to read aloud together. Even upper elementary age children would be interested in it if they love laughing and animals and most seventh graders can read it themselves. Have you ever seen a dog climb a tree? Once a year the City of Paso Robles has a major clean-up event. The city is divided into two zones according to watering schedules, so that everyone does not water landscaping on the same days. Zone One waters on Tuesday and Saturday and Zone Two, mine, waters on Sunday and Wednesday. Woe to anyone who waters on an unscheduled day. Our annual clean-up event lasts for two weeks, one week for each zone. During that week we are allowed to add up to seven bulky items or bundles of junk that will not fit into our regular trash and recycling containers. Those items can be old appliances, carpets, mattresses, furniture, electronics, almost anything not toxic. 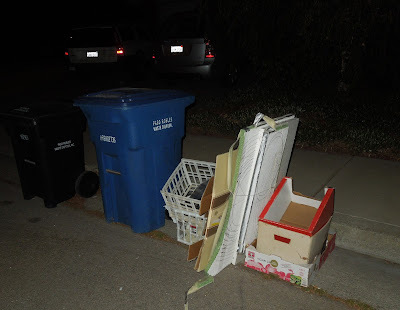 We may put these things on the curb or in the street near our regular containers on our regular pick-up day. This saves residents the trouble and fees to take them to a junk yard. 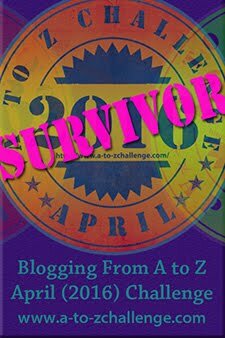 Last year I was recovering from foot surgery before our clean-up week and could not prepare. This year, although I didn't have time and strength to do as much as I'd wished, I at least was able to get rid of some bulky things that take up space. I'm hoping I'll start earlier next year in cleaning up my garage so that I can lay things aside to take out when clean-up week arrives. I took the photo above after I had taken everything to the curb for the pick-up this morning. Does your city have this kind of event? This is green season in the vineyards. The tiny green grapes are getting bigger. The green leaves contain chloroplasts. 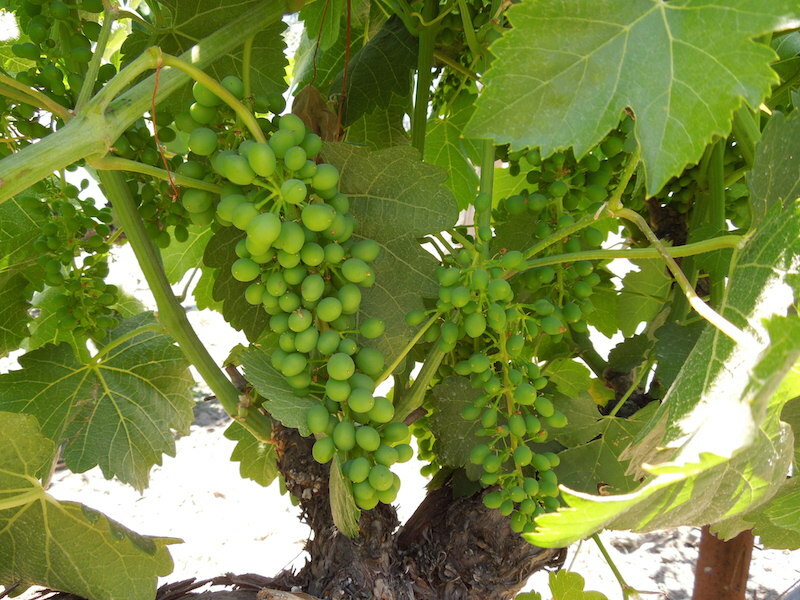 The leaves breathe in carbon dioxide from the air and receive water from the roots of the vine. The chloroplasts take the water and the carbon dioxide and when the light hits the leaves, it turns the chloroplasts into sugar to feed the grapes and releases oxygen in the air for us to breathe. This process is called photosynthesis. It happens in every green plant. Without it plants could not make the food they need to live, and we would not have food to eat or wine to drink. 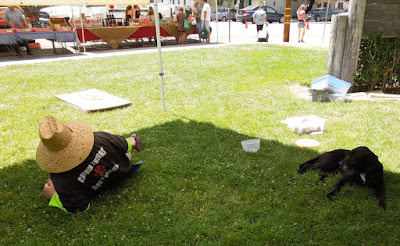 The Templeton Farmers Market has much more than produce. Many non-food local businesses come there to find new contacts. One that is rather fun to watch is the Canine Tutors. As I was walking away from the market one day, I saw its van parked on the street, and I could not resist taking this picture. I thought the message on the top of the windshield was funny. Sign at top of windshield says, "Sorry, we don't train husbands, wives, or kids." Canine Tutor and pupil taking a break in the shade. This picture was taken on a very hot day. 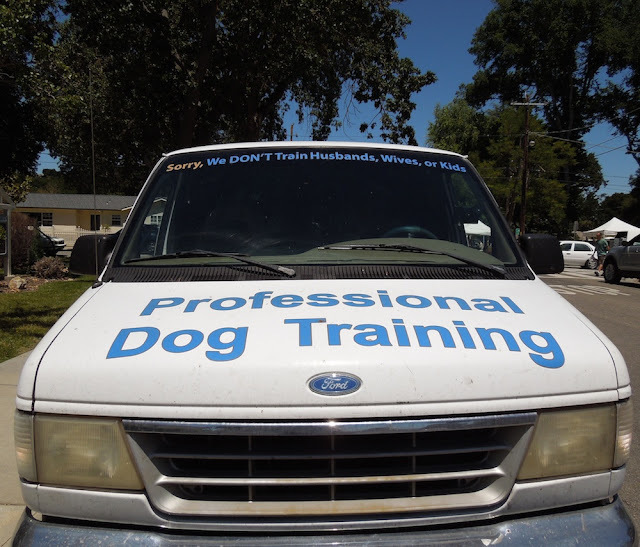 The canine tutor usually shows how he has trained his own dog on these days and the dog does tricks. But as I was about to leave, I caught them both taking a break in the shade. In the background you can see, some of the produce vendors. You can click either photo to make it larger. I happened to take this photo on my Templeton property, but both these plants can be seen growing wild at Larry Moore Park and in many uncultivated areas throughout the North County. The tree, or large shrub is elderberry. It just seemed to appear out of nowhere one year and kept growing. It took me some time to learn what it was. The milk thistle is the lovely plant with the milky marking in the leaves and the purple thorn flowers. It is reputed to have medicinal uses. It is also edible. 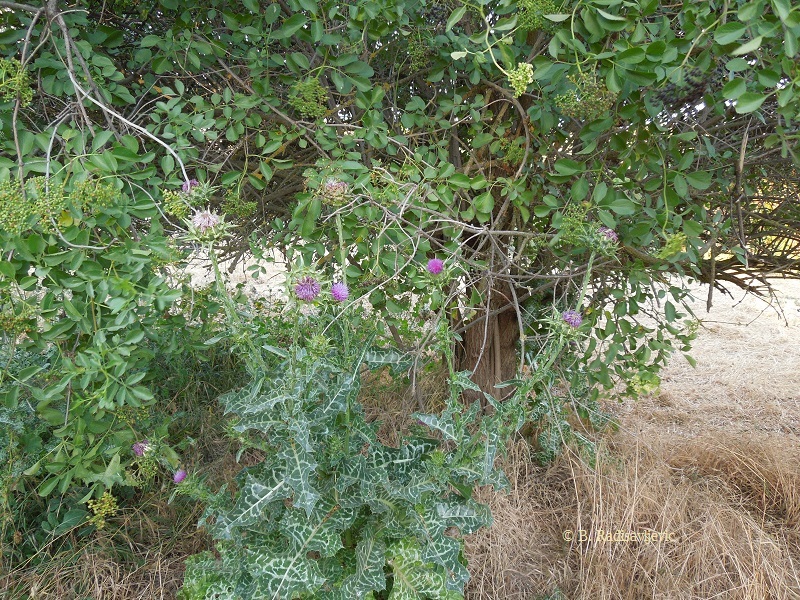 Recipes for using both milk thistle and elderberries can be found in Edible and Useful Plants of California. This lower photo shows you a closer look at the elderberry's different stages. In the lower left you can still see some of the remaining pale yellow flowers. You can also see berries in various stages of ripeness, with the purple berries being the most mature. The bees love this tree when it's blooming in the spring, which is probably why it has so much fruit. I have never needed to water this tree. Elderberry has been around since the the Stone Age, according to Rodale's Illustrated Encyclopedia of Herbs, my favorite herb reference. Man has used the berries and flowers for healing, and the branches to make an ancient Greek stringed instrument called the sambuke. Most people today use the berries for making wine or jelly. Both cosmetics and dyes are also made from elderberry flowers or leaves. Elderberry roots, leaves and stems can release cyanide, so one needs to be careful when using this plant. Berries are best consumed cooked. 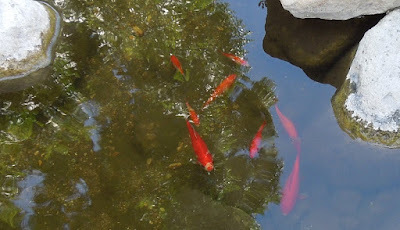 If you want to enlarge a photo, just click on it for a closer look. 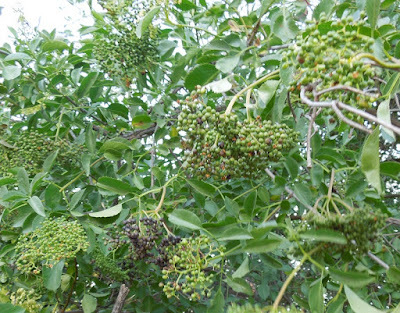 Have you seen elderberry trees in wild places or along the roadsides? Have you ever used the berries? My Greens are Bolting and Making Flowers. It's been hot this last week, but today we hit the triple digits and it appears the rest of the week will be as bad. This heat has caused my chard and kale to bolt. I thought you might like to see my kale flowering. It is said that one can eat the flowers and they taste like broccoli. I'll have to try it. Here's a larger picture. The kale pale yellow kale flowers aren't as high as they appear to be in this photo. I was holding the camera at an angle that makes them look taller than they are. In the distance you can see what's left of my pink hollyhock and the purple hyssop. The clary sage is in bloom in front of the brick pillar and juniper. 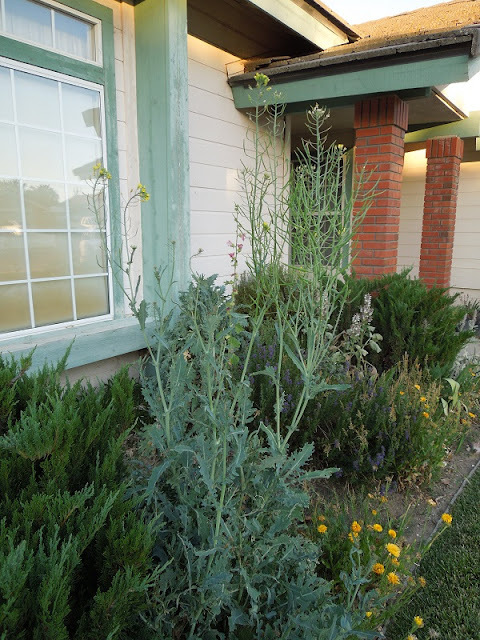 The yellow flowers are calendula. How Did This Golf Ball Get Here?